Campus groups are responding to American conservative commentator Ben Shapiro’s visit to campus this Halloween in an unexpected way — by choosing not to directly protest. Hosted by the UBC Free Speech club, the event has attracted substantial media attention partly over the potential of protests against Shapiro, a hard conservative who is criticized by many for his views on Muslims, Indigenous peoples and Israeli-Palestinian relations, among other topics. But campus groups don’t plan to protest in the traditional, confrontational sense. Instead, the Social Justice Centre (SJC), the Pride Collective, the Progressive Jewish Alliance and other student groups are hosting “Scaridarity” — a Halloween party for their members who are unhappy with Shapiro’s visit. The event will raise funds for Mutual Aid Palestine and Mutual Aid Puerto Rico, which provide charitable and disaster support for those respective regions. “The way that I view the event is that resistance is also creating a space for community and celebration, and creating our own space that can be an oasis that really holds our values,” said SJC Co-chair Gabby Doebeli. But responding to the Shapiro event by partying does not diminish the co-hosts’ criticisms of his views. “As a student-led organization standing in solidarity with the Palestinian people and the atrocities they are targeted by, [Solidarity for Palestinian Human Rights] (SPHR) will take a strong stance against the presence of Ben Shapiro on campus-based on the free speech standard to which those communicating legitimate human rights concerns are evaluated against,” reads a statement from SPHR. Members of the Gender, Race, Sexuality and Social Justice Undergraduate Association (GRSJUA) will also be holding a “teach-in” outside the Chan Centre to discuss free speech as well as its history, implications and boundaries. According to GRSJUA’s Arts Undergraduate Society Representative Kirsten Tarasoff, the association did not initially plan to respond beyond a statement to avoid feeding into the narrative of “angry, yelling feminists” and giving the Shapiro talk more attention. But they went ahead with a teach-in after a faculty member, who is helping with organizing the teach-in, stressed the need for the GRSJUA to show their solidarity with those who are affected by Shapiro’s discourses. The event’s organizers, who wish to be anonymous to avoid potential threats or harassment, said that the event will start with a conventional lecture before going into discussion-based activities in small groups. “It’s not really so much [about] having speeches or having a rally,” said the faculty organizer. “We are holding space for trans people, for people of colour,” they said, referencing recent news about the United States attempting to scale back rights of transgender people. With their event happening at the same time as the Shapiro talk, they hope that those who attend the teach-in will be “genuinely hoping to listen and learn,” limiting safety concerns. 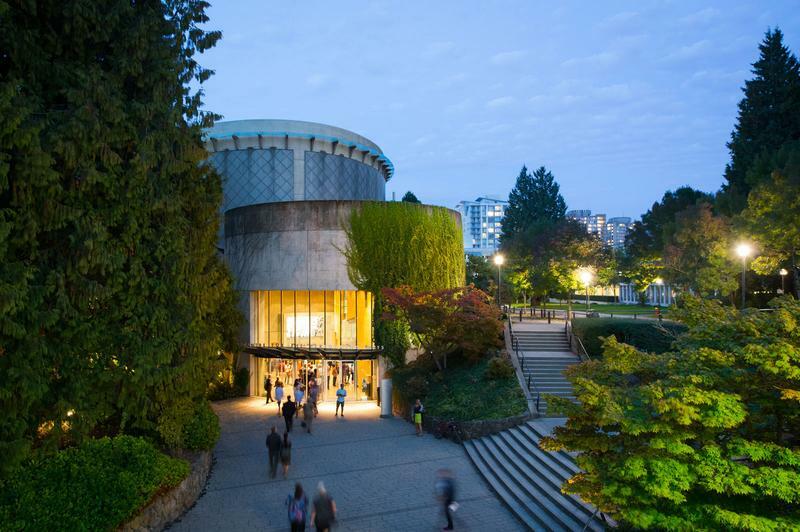 “I always cross my fingers that we're on UBC campus — everyone here obviously is very smart in some way, shape or form you know, so hopefully we can be smart about how this is actually carried out with some mutual respect,” said Tarasoff. Free Speech Club Director Angelo Isidorou said that the club welcomes these peaceful events and is only concerned with preventing violence. Shapiro’s visit attracted substantial media attention this summer when a small number of UBC students wrote letters to Provost and VP Academic Andrew Szeri asking he not be allowed on campus under UBC’s discrimination policy. Since then, concerns have been raised that Shapiro’s presence might precipitate fighting as it did at campuses like Berkeley. The AMS has also expressed concerns about the impact the event could have on vulnerable community members. “We think the event will promote hateful and discriminatory views and attitudes on our campus which could make many of our members feel threatened, targeted and marginalized,” said AMS VP Academic and University Affairs Max Holmes in a July interview. But while many groups oppose the event, Isidorou said he’s not aware of any on-campus groups that plan to formally protest — but added they’re prepared for the worst. Isidorou said the club is footing “tens of thousands of dollars” to have University RCMP, campus security, private guards, fire fighters and and metal detector stations onsite, all on the recommendation of the Chan Centre. Inside the event, Isidorou said people who disagree with Shapiro will be the first called to ask questions, but any audience members who promotes fighting or disruptively heckles speakers will be kicked out. Overall, Isidorou is optimistic that supporters and detractors of the event will debate in good faith — but said the club is prepared for the worst. The SPHR’s statement has been updated. Scareidarity has been updated to clarify it is a fundraiser.